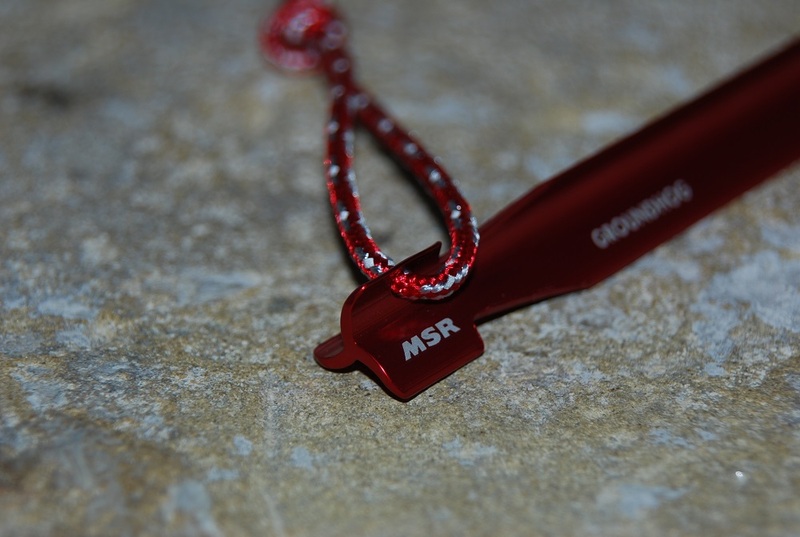 MSR Groundhogs, or any decent alloy ‘Y’ peg for that matter, are my peg of choice for most situations. But unless you’ve developed calluses like old boot leather on the palms of your hands, they’re also about the most painful to tease into hard ground if a sizeable rock’s not at hand. So for the sake of a pitifully short blog post, here’s my solution. Some plastic end caps (I believe the technical term is ‘ferrules’). These are slightly flexible plastic 14mm end caps, which quite frankly aren’t even worth weighing, they wouldn’t register. 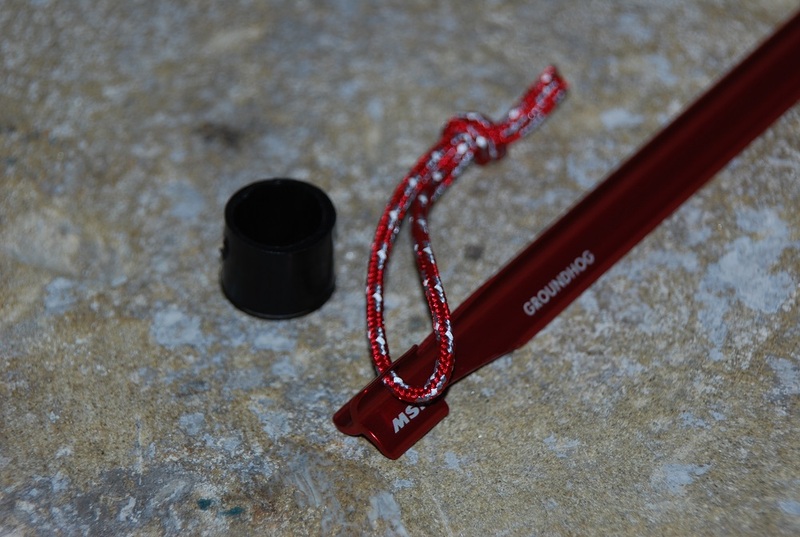 The inside diameter of them is a nice snug fit over the end of the MSR Groundhog’s and an equally good fit over the end of other alloy ‘Y’ pegs such as those from Alpkit. These particular caps just happened to fit exactly over the top part of the peg and so don’t obstruct the guyline recess. I simply punched a hole in the side of each, re-threaded the peg leash through them and jobs done. A cap you can put over the end to save the agony of pushing them in, or flip off should you wish to bludgen them home with a rock-hammer. 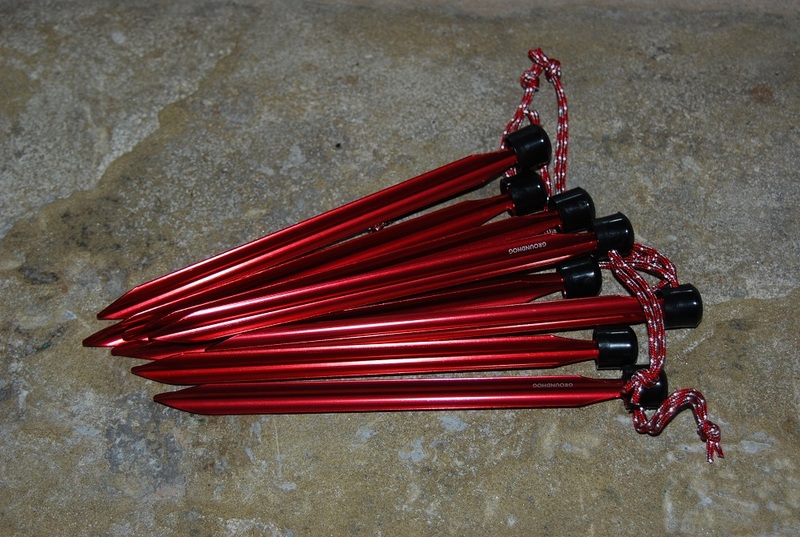 These look like a good idea, these pegs always hurt my hands, where did you buy the end caps? I got them from Ebay. If I can remember the size I’ll let you know.